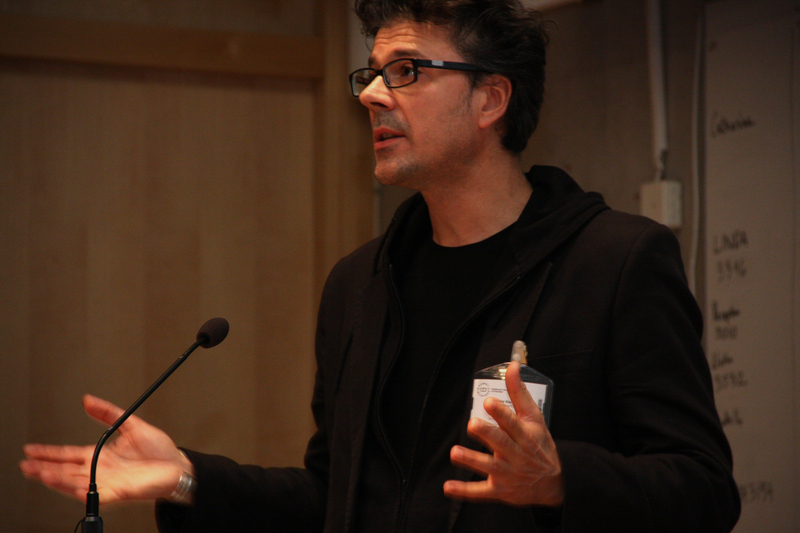 By and large we’ve reported on this blog about the preparations for the EUscreen conference, which was held on September 14-15th at the National Library of Sweden. We’ve been hard at work gathering the presentation slides and videos for those who couldn’t attend or would like to review a number of topics. In this conference report, Sian Barber, Andy O’Dwyer and Erwin Verbruggen portray their findings and clues from the different talks that were presented. In September, EUscreen held its second international conference, with a focus on use and creativity, to pose a number of key questions; how can the different intended user groups of EUscreen be involved and make creative (re-)use of the multitude of materials that are on the site? What are the best practices in the field of audiovisual presentation and education that we should draw on for inspiration? EUscreen is a platform that strives to provide access and tools for different uses to different user and learning communities. The speakers at the conference reflected the variety of user groups and came from backgrounds as diverse as the archival community, the scholarly world, publishing, law, and government institutions. Various speakers from the archival community presented on the preservation practices necessary to bring archival materials out to the public through web transmittance. Roland Sejko gave a historical overview of the LUCE archive’s holdings. He drew attention to the contents of their archives and the organisation’s continued desire to collect and link them to material held in other archives. He also pointed out that a great deal of the archive content had never been used, which called attention to how such material could be used by researchers and the importance of promoting archive holdings to the wider academic community. Martin Bouda offered an insight into Czech Television’s archive project for scanning their holdings and emphasised the requirement to preserve as well as to promote and enable access. 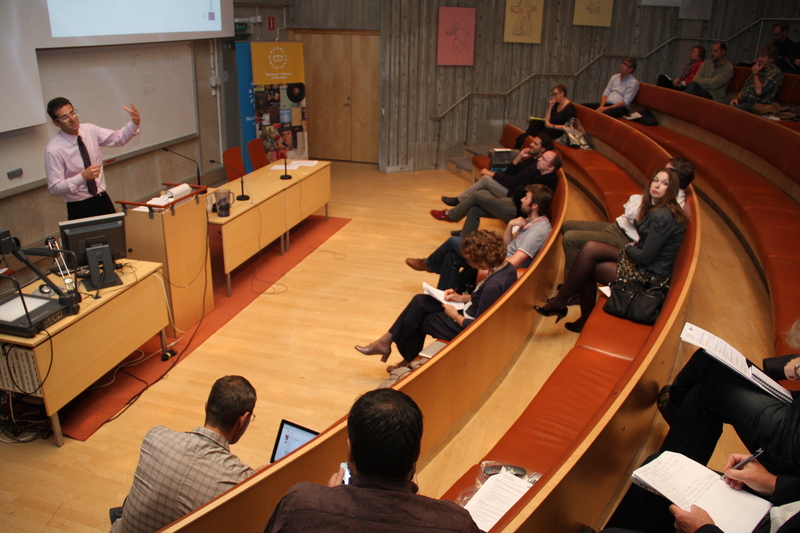 This point was also raised by the Swedish Film Institute’s Kaja Hedstrom, who presented a case study of a web platform. The Filmarkivet portal is aimed at a broad, generally interested audience who would – because of language constraints – mostly be confined within the borders of Sweden. The issue of language is one which is crucial for the EUscreen community as the project aims to find a solution for its different language sources and users. Providing and curating the cultural heritage of Europe for a broad audience in inventive ways is a core task of Europeana. Aubéry Escande presented the various means in which a recent Europeana project drew upon user’s participation to enhance its large collection of digital objects. As part of this process visitors are invited to add their personal stories by using advanced web technologies, crowdsourcing, storytelling and live events for specific communities. He described how a project on the First World War called on people to provide their own artefacts to help them explore narratives of the conflict and its impact. Focusing on individual stories that catch the imagination and hosting days where people are encouraged to bring in physical objects about the First World War encouraged greater engagement from the general public. Foregrounding personal stories rather than grand narratives and encouraging consideration of these stories from a range of perspectives offered users the opportunity to respond to ideas of shared histories and of the importance of bringing these histories to others. The issue of curating was also addressed by Dagan Cohen from Upload Cinema who gave an inspiring presentation as he showed how the best of web content could be brought to the cinema screen. Upload Cinema selects and screens programs made of compiled YouTube items in a variety of cinemas all over Europe. Cohen commented on how this project enabled the power of the user to be recognised and suggested how such work foregrounds the way in which people engage with online material. He suggested that screening material in this way indicated a shift away from the power of the archive curator or the academic voice of authority and instead focused upon the power of the public. Discussion also addressed the notion of a crisis of search in which authoritative indications and technical algorithms are perhaps giving way to social recommendations such as those shared on social media sites. One EUscreen content provider actively wondered what role archives had to play in this new digital world in merging the role of users and producers of content. Jérôme Bourdon closed the first day with a thorough analysis of how the media has illustrated, reported and involved our daily lives and memories in the context of the Isreali-Palestinian conflict. 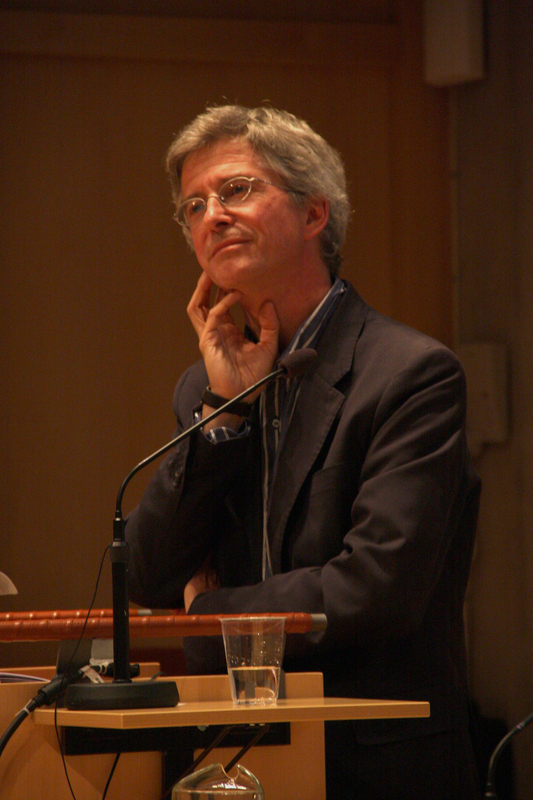 He related the need for a thorough reflection on media practices and the importance of research into the shaping of stories by the media. It is these back-stories that inform our views on current and past conflicts and the way they then become a part of our own daily experience. A lively debate followed which emphasised the importance of contextualizing media materials about conflicts with so many layers and threads, and on what it is, exactly, that separates memory (personal, close to ourselves) from knowledge (the things we see, hear, learn). One way to encourage the academic community to engage with the contents of archives was outlined by Dana Mustata the next day. She illustrated the pragmatic approach she adopted when working on her own PhD and the tools, resources and attitudes television historians need in the practice of research. Using a clip of Ceausescu’s last live broadcast, which started the Live Romanian Revolution 1989, she argued that a variety of sources are needed to understand how television works and to achieve an integrative understanding of the medium. Mustata noted that EUscreen’s big plus is access, but that there is a minus point: as the providers select for researchers what they think is relative or important, this selection process takes something away from them. EUscreen is a new gateway for historiography, building bridges between academics and archivists in which further platforms for understanding could be the e-Journal and the comparative exhibitions, which will be a way to reflect with authors and views of how we told the story. As a platform, EUscreen is enhancing the understanding of television and can be a means reflecting on how we are making television history at this time. Contextualisation received an equal amount of attention in the presentations that adhered to the field of education and spreading knowledge. Peter Kaufman and Pere Arcas gave inspiring talks on how online tools are already changing the nature of how students today can access the heritage of yesterday. Today, students can download apps that guide them through the works of T.S. Eliot and demand an entirely different way of learning and contemplating the content of such texts. Pere Arcas’s projects include the seminal Draw me a Story , a project in which a user interface was crafted in which children can – with a minimum amount of guidance – use and remix the various sources that are available online. By creating, crafting and expanding existing sources, they engage with the world in different ways than we ever thought possible, and greatly enhance their learning experiences by practicing and putting the content to use. Paul Ashton of the Times Education Supplement focused on how audiovisual material can be contextualized from the teacher’s side to engage students with the teaching curriculum in an active manner. Through a demonstration of a range of clips, he suggested how packages of clips of readily available online content could be provided to schools to allow for classroom discussion and increase visual learning. Ashton commented that using video clips to promote questioning by children could be used pedagogically to address specific parts of the learning curriculum. In the discussion that which followed this paper, there was broad agreement about the usefulness of video material being used in the classroom this way with some calling attention to the need for learning to be structured and the clips to be placed in context. The point was also raised that no use of online video is a ‘free’ activity, and in order to be successful, issues such as copyright and platform sustainability need to be well calculated in the set-up of any project. These issues of Sustainability and limitations of online use were the focus of the second workshop. Here a a number of case studies revealed how clear, distinct aids and ides were given as tools to benefit the opening up of access to a wide user base. Johan Axhamn from Stockholm University gave a clear overview of the role IPR issues have plagued and troubled archives all over the world, and how a tool such as the Extended Licensing Model can become an aid for archives and rights holders to enable them to move forward and clear the fog that exists on many audiovisual assets. As the audience of the conference consisted of a mix of rights holders, caretakers, and rights clearance institutes, interest was high and in the discussion which followed the different groups were able to review their own views on the issue. Catherine Grout from JISC and Marius Snyders from the PrestoCentre discussed how their initiatives can connect communities to enable sharing of resources and knowledge and also to offer advice on digitisation, online reuse and educational use. The video that the JISC Film & Sound Think Tank made gave a clear and distinct overview of the many issues that both plague and are beneficial to archives, educational institutes and online projects such as EUscreen. It also indicated why it is so crucial for users in this day and age to have access to clear, contextualized, open sources of audiovisual information. PrestoCentre offers advice to archives worldwide who want to benefit from mutual sources of information to strengthen the processes they use to bring their content into the digital realm. PrestoCentre also offers advice and help on long-term digital storage and how archives and projects can make their materials accessible to users from all walks of life. Luca Martinelli from the European Commission gave a clear overview of the various sources and infrastructures that exist to support access to audiovisual heritage. He situated the EUscreen project within a number of subsequent decisions and recommendations to the European Commission that laid out the importance of audiovisual heritage and the need for open, online access to these materials in order for them to be useful to a broad audience. He gave a draft overview of future undertakings of the European Commission, drawing attention to the way the commission invests in Europe’s heritage to ensure it remains a lively source for all kinds of users and how EUscreen is one of the best practices that are out there to realize this scope. 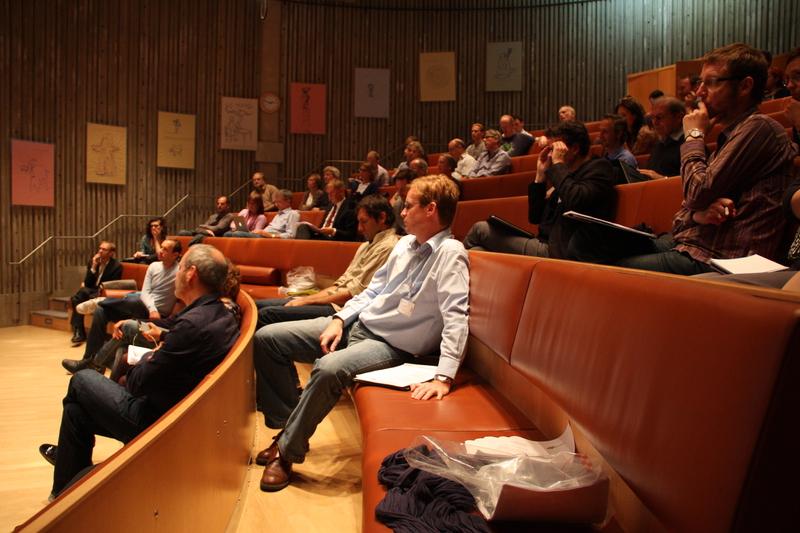 The two-day conference in Stockholm was a lively, stimulating and varied gathering. It offered an opportunity for EUscreen partners to share and exchange ideas for the further development and sustainability of the platform itself, but also for interested users, rights holders and scholars to discuss questions about the nature of online heritage, the needs and forms of online access and the scope of needs of different users. About 120 people attended the conference and engaged in lively discussions on memory, heritage, culture and education. It offered the EUscreen consortium a range of options on how best to proceed in the final year of the project, and a number of these options and certain topics of discussion will be explored further in later workshops and work sessions.